It was Stuart Smalley, played by Al Franken on Saturday Night Live, who said, “I’m good enough, I’m smart enough, and, doggone it, people like me!” As it turns out, many took Smalley’s credo to heart. And the results have been sadly predictable. Now there are just as many Americans skeptical of the Bible as there are engaged with the Bible. According to the fourth annual State of the Bible survey, 19 percent said that they were skeptical of the Bible. This number is up from 10 percent in 2011. – More likely to never read the Bible (39 percent compared in comparison to 26 percent of adults). It turns out that America’s latest generation is more suspicious of the Bible than any that has come before it. Now, on the one hand, such suspicion requires solid biblical apologists – people who can argue for Scripture’s veracity, historicity, consistency, and even morality to a society that is increasingly questioning Scripture on all these fronts. Indeed, one factoid that came out of this report is that while 50 percent of all adults believe the Bible has too little influence on society, only 30 percent of Millennials believe this. This is, in part, because many Millennials no longer accept the basic premise that the Bible teaches right from wrong. Instead, many Millennials now believe the Bible promotes wrong rather than right – for instance, on topics like sexual ethics. Thus, they see the Bible as having a negative, rather than a positive, influence on society – one they would be happy to see continue to wane. But there is more to this report than just what Millennials believe about the Bible. The statistic I found most telling from this report is this one: 19 percent of Millennials believe no literature is sacred compared to 13 percent of all adults who believe no literature is sacred. In other words, it’s not just that Millennials have a problem with the Bible in particular, it’s that they struggle with any literature that claims to be sacred in general. It is here that we arrive at the core of this new generation’s struggle. For to claim a particular piece of literature is sacred is, at the same time, to say something about its authority. After all, something with a sacred, or divine, origin is, by definition, “above” me and can therefore make certain claims on me and demands from me. But this is something this current generation simply cannot endure. For to believe a book like the Bible has divine authority is to concede that if I disagree with the Bible, the Bible gets the right of way. But when I’ve been told, “I’m good enough, I’m smart enough, and, doggone it, people like me,” I cannot stand to have my goodness or moral intelligence questioned by some backward work from ancient antiquity. My modern, enlightened sensibilities cannot be wrong. I must be right. The only sacred literature left, then, is the moral script I’ve written for myself and carry around in myself – hence, the reason so many Millennials see not only the Bible as unsacred, but any religion’s holy book as unsacred. So with all of this in mind, perhaps it’s worth it to do a little reflection on our assumption concerning the sapience and sacredness of our moral sensibilities. We have been told we are smart enough. But are we, really? Have we never made a wrong call, a tragic error, or a bumbling fumble? We have been told we are good enough. But are we, really? Have we never broken our own moral boundaries or changed them over time because of a shifting perspective, or, more cynically, because of coldly calculated expedience? 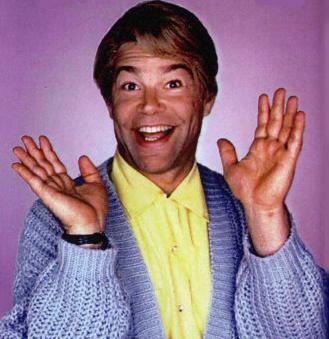 A little bit of honest introspection is enough to remind us that what Stuart Smalley taught us is profoundly untrue. Indeed, it is downright silly. And it is supposed to be. That’s why it aired on Saturday Night Live. So let’s stop looking to ourselves for truth and morality and start looking to something higher. Let’s take an honest look at the Bible. Who knows? We may find it’s smarter and better than even we are. And, doggone it, we might even learn to like that. “State of the Bible 2014,” American Bible Society. Entry filed under: Current Trends. Tags: Al Franken, Authority, Bible, Christ, Christianity, Morality, Saturday Night Live, Scripture, Stuart Smalley. Well said. I enjoy your blogs, Thanks for taking the time to write them. Among Millenials it also is common and trend for television, movie, radio to poke fun to the point of complete denigration of the gospel.